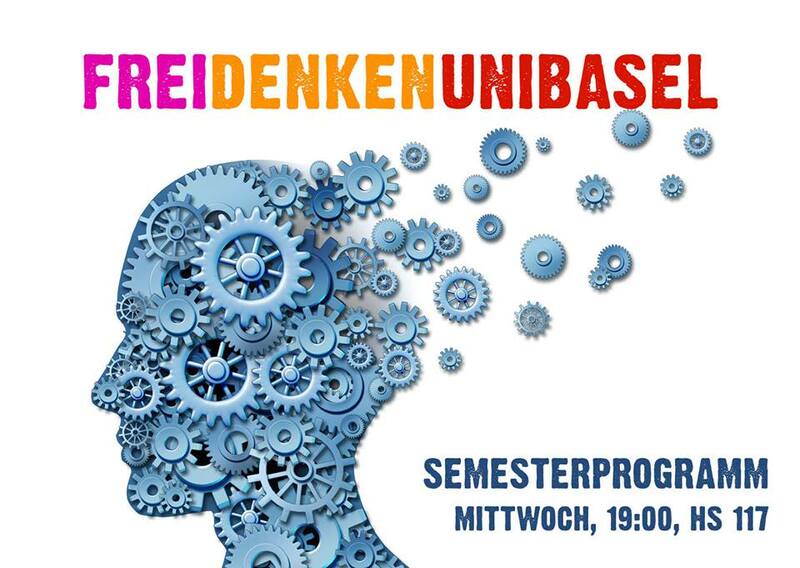 Im Herbstsemester 2014 finden wieder Veranstaltungen von «frei denken uni basel» statt. Dieses Semester werden verschiedene Vorträge angeboten, die unter dem Begriff der «Zukunftsforschung» zusammengefasst werden können. Der Wochentag und die Uhrzeit bleiben gleich: Mittwochs um 19:15. Veranstaltungsort wird in den meisten Fällen der Hörsaal 117 im Kollegienhaus sein. In our lives we spend around 80’000 hours working. How can we use those many hours effectively to work on the most pressing problems in this world? Some careers have a bigger impact potential than others. Together we will look at the most promising careers and evaluate which paths will lead us to make the most difference. We humans owe our dominant position on Earth to the unique ingenuity of our brains. But intelligence is not a natural constant and the human level is not the limit: The future of humanity may one day be determined by the values of superintelligent machines. Discussion about socio-economical and technical aspects. Demonstration of Bitcoin in action and explanation of the basic principle and inner workings. Overview of features and limitations. Emphasis on discussions and questions by the audience. Effektive NGOs: Die Zukunft der Entwicklungszusammenarbeit? Patrick Stadler, Vorstandsvorsitzender von New Incentives, spricht über den Kosteneffektivitätsgedanken im Wohltätigkeitsbereich und gibt aus erster Hand Einblicke in den Aufbau einer effektiven, evidenzbasiert arbeitenden NGO. New Incentives will mit Hilfe von Conditional Cash Transfers (CCTs) Müttern aus den ärmsten Ländern der Welt helfen, gesunde Kinder zu kriegen. Der Charity-Evaluator GiveWell hält es für wahrscheinlich, dass New Incentives sich zu einem der kosteneffektivsten Hilfswerke entwickelt. Dr. Melanie Joy: Why We Love Dogs, Eat Pigs, and Wear Cows – frei denken uni basel & Sentience Politics. Carnism is the invisible belief system, or ideology, that conditions people to eat certain animals. Carnism is essentially the opposite of veganism; “carn” means “flesh” or “of the flesh” and “ism” denotes a belief system. Most people view eating animals as a given, rather than a choice (“normal”, “natural”, “necessary”); in meat-eating cultures around the world people typically don’t think about why they find the flesh of some animals disgusting and the flesh of other animals appetizing, or why they eat any animals at all. But when eating animals is not a necessity for survival, as is the case in much of the world today, it is a choice – and choices always stem from beliefs.